Cats and Babies? What are the benefits? Many questions arise when it comes to having a new born baby in the home. What should you do with your cat? Is it safe for your cat to be around your baby? Well in this article you will be able to feel a little more at ease to know some of the benefits of having a cat around your new born baby. Recent studies have shown that cats actually help babies lower their risk of having the cold and sniffles during the first year of the baby’s life. Researchers have found that cats (pets in general) help boost kids’ immune system. Yes! Surprisingly all that cat dander and germs you try so aimlessly to get rid of from your cat is actually good for your baby and kids. All the exposure to these things help to develop your children’s immune systems which will lead to better health. In a Report in the Journal Paediatrics, a case was done where they found that babies who grew up in a home with a pet were less likely to get sick than children who were in pet-free homes. Previous research also linked the presence of pets with a lower risk of allergies in babies. Cats help kids build friendships. Having a cat will help your child to be kind and loving and will also help them learn to share and give, this in turn will be a trait they will carry with them in building friendships with other children. It will also make it easier for the shyest of kids to feel more comfortable talking with other children who also own cats. They help build confidence. Owning a cat will help your child to build the confidence in applying for that position in his/her favorite sport for e.g. Playing games at home with their cat will show them that there is no need to have any fear and for them to feel more comfortable when it comes to the big game. Cats do like to play games like football and table tennis by hitting the ball around. Having the litter box cleaned. By having them do these things will not only help them to be responsible but will also teach them how to maintain a regular schedule. Cats are creatures of habit so they will learn the specific times in which they will want to be fed, to play and when they just want to sleep. More Exercise. Cats and pets on the whole, make kids exercise more and not be a couch potato. 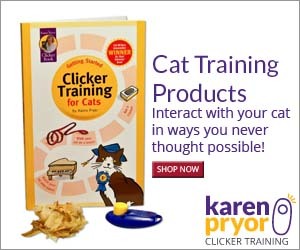 Cats love to jump, climb and run around, playing different games so this will keep your kids busy and they will also learn a few yoga moves by trying to imitate a cat who likes to stretch and put themselves in all sorts of positions. They can make your child smarter. A study at the University Bristol have found that cats are not only smarter than dogs but also their owners are smarter as well! Why aren’t we surprised by this, it was always known but now it’s proven. Your child will be spending a lot of time not only caring for these precious animals but also finding ways to outwit their sly ways, inventing games to keep them occupied and keeping them out of harm’s way and trouble. Empathy. Children with cats grow a special bond with them and this bond teaches them how to be caring and loving at an early age. If a child is kind towards her pet she will automatically practice these feelings in different places like schools, in sports etc. and will most likely grow up to be a very respectable individual. They help kids read better. Cats are loving, caring felines who are non-judgemental and a good listener. Kids who spend time reading to their cats aloud feel more comfortable and confident and will make reading a more enjoyable experience especially for the ones who have a harder time at understanding all these letters on a page. So there you have it! If you already own a cat and have children then you have nothing to worry about, if you have kids and don’t have a pet then I hope that the above mentioned ways will help you realise how good it is to own a cat!